During the height of the iOS jailbreaking scene, numerous users eagerly anticipated new jailbreak releases to get their hands on Installous again, the popular and controversial piracy app made by the Hackulous team. 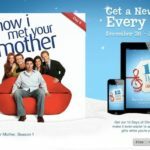 The app allowed users to pirate pretty much every iOS app you could think of and at the end of the day it hurt the bottom line of developers. Some users relied on Installous to ‘try out’ new apps before buying, while others just pirated apps. Regardless, the service was a black eye for Apple and its hardworking iOS developers. With the state of the iOS 6 and iPhone 5 jailbreaks up in the air, it appears the Hackulous Team feels the “community has become stagnant” and blames the lack of activity on their forums as a reason for calling it quits. For now, Installous is no longer available but you can bet others will pop up to keep it going somehow in the future. Back in June, Installous 5 was updated to introduce BitTorrent downloading. Have you ever tried Installous for downloading free apps? We did manage to speak to two other people familiar with the sites’ operations and they told us they were surprised at the decision due to a number of factors. The sites were apparently healthy and still had plenty of users. Indeed, the shutdown statement appears to carry a contradiction – “ghost town” forums are by their very nature not particularly difficult to keep “well-moderated” since nobody uses them. Nevertheless, this is the cited reason for the shutdown. 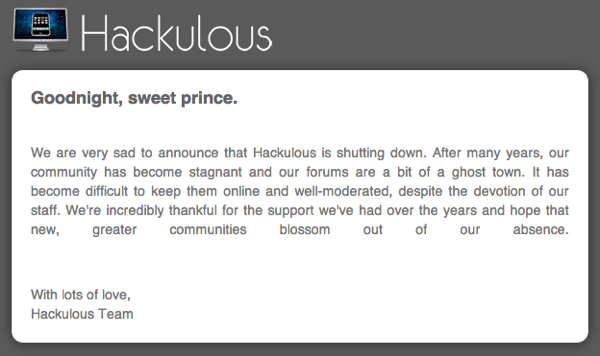 Your guess is as good as ours as to why Hackulous shut down suddenly. Insert your conspiracy theory below in the comments.